Gladys’ parents farm for a living. She lives nearby with her siblings so that she can come to school. Gladys is now learning to read, and struggles with learning English. 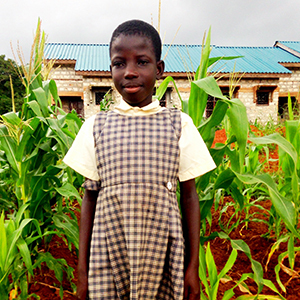 She is adjusting well to the school and consistent food and education.